Hey Dudes, on our list today we will be ranking the top 10 Greatest NBA Centers Of All-Time. This entry is a part of our series on the top 10 players who are the best at their position in their particular sports. We will look at the best Defenseman in NHL history, the best Quarterbacks in CFL history and so on. I made the call to rank these giants based on all-star game appearances, NBA championship appearances, awards won and overall statistics. Please enjoy and leave us a comment when you’re all done! 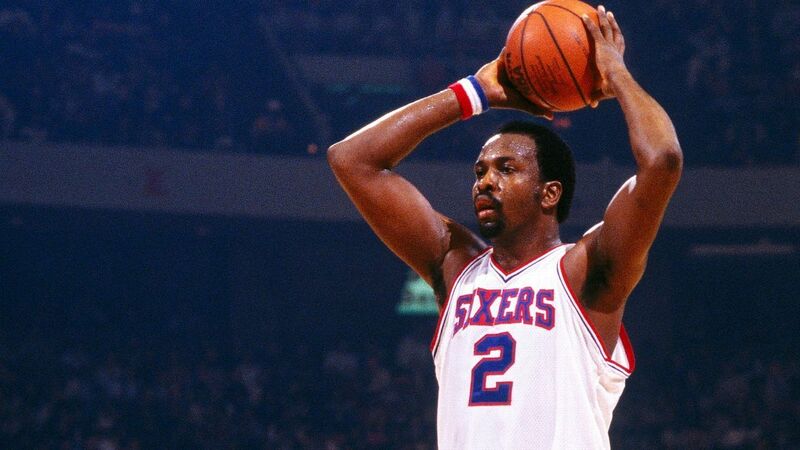 Many names were in the mix for the final spot – Alonzo Mourning, George Mikan to name a couple – but I went with Howard, a 5-time All-NBA 1st team player who won Defensive Player of the Year three times. He led Orlando to the Finals. Yes, the 2nd half of his career has been an abject disaster, but he’s still a lock for the Hall of Fame. His career was cut short by injuries, but he still accomplished enough to warrant a spot on this list – one MVP award, one Finals MVP award, and he’s in the Hall of Fame despite modest career averages (13.3 ppg, 10.5 rpg). Could be argued he was the best passing center in NBA history. Came into the league with immense hype, and nearly lived up to all of it, taking the Knicks to the Finals twice, but never winning a ring. Had nine straight 20+ point, 10+ rebound seasons. A great shot blocker (8th all-time in the NBA). If John Starks doesn’t shoot 2-of-18 from the field, and 0-for-11 in Game 7 in 1994 … Ewing probably still isn’t ahead of the next guy on this list. He won two titles in San Antonio, but many forget this fun fact: He scored 71 points in the final game of the season to steal a scoring title from Shaq in 1994. The Admiral led the NBA in blocks once, captured a Defensive Player of the Year award, was the NBA MVP in 1995, and he is perhaps the most athletic center in NBA history. All-around class act. Often overshadowed on these lists because his ABA/NBA career spanned the 70s, 80s and 90s, which is also when many of the guys above him on this list dominated. Malone won 3 MVP awards, a title in 1983, and was the Finals MVP as well. For the rings crowd, Russell is surely #1 on this list and all-time. He’s got 11, and captured five MVPs. But that was done mostly at a time when there weren’t even 15 NBA teams. He may have won the wars vs Chamberlain, but in those head-to-head showdowns, Wilt won the battles, averaging 29 points and 28 rebounds in 94 games. Tough to argue any player has individually dominated the league like Chamberlain, leading the NBA in scoring 7x and rebounding 11 times … and he even led the NBA in assists once. The 4-time MVP won two rings, and was the Finals MVP one more time than Russell was (1-0). The haters will say if Michael Jordan didn’t try to play baseball, the Dream wouldn’t have a ring. But that happened, and Olajuwon won two rings and was the Finals MVP both times. A snapshot of how dominant he was: The Dream averaged 20+ points and 10+ rebounds for his first 12 years in the NBA. Entered the league and for his first 13 seasons, averaged 20+ points and 10+ rebounds a game. Shaq was the Wilt of his era – utterly dominant offensively. The only award Shaq shockingly never won was Defensive Player of the Year. He captured three Finals MVPs and has four rings.